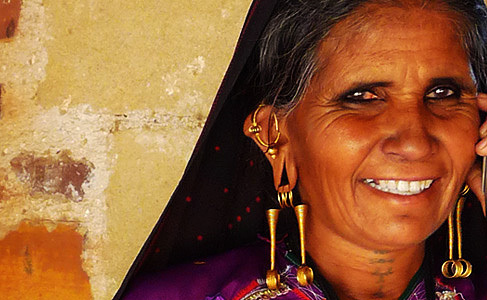 Bhuj has been the center for trade and commerce for all the villages around it . 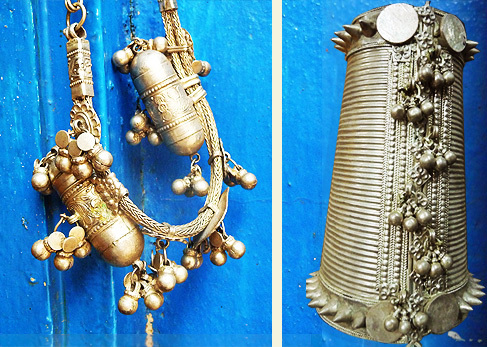 The silver market popularly named as Sarafa Bazaar is around 200-250years old and is existent from the time of Maharajas. 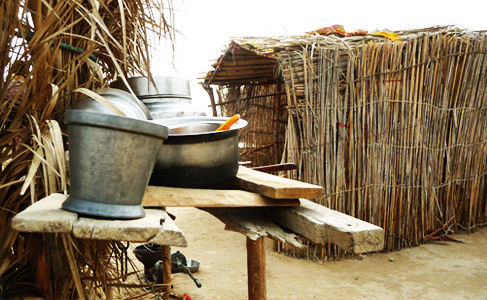 Dining sets, tea pots, cups, cutlery, bowls to other articles of a lavish lifestyle like jhulas, candle stands, jhumars, furniture were traditionally made and sold in the market. 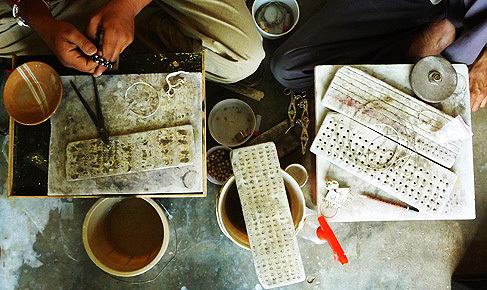 Islamabad and Karachi were also good markets for the Silversmiths of Kutch. 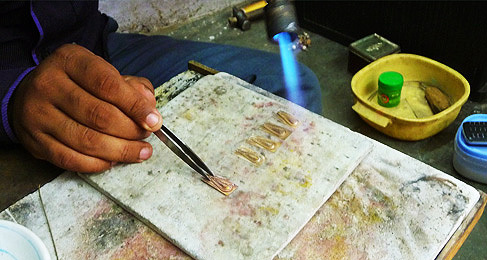 Trades faded with the increasing tensions between the borders, leaving only 10-12 families in the city that still make traditional jewelry. The rest have switched to selling lighter articles like ‘payals’, which have a contemporary outlook from the sales point of view. 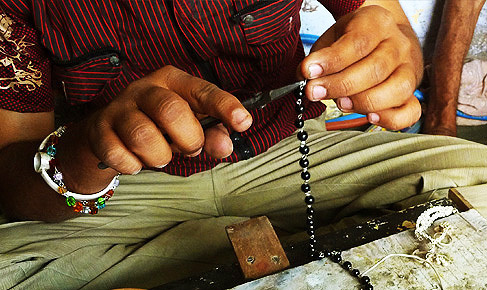 One of these rare survivors of time is master craftsman Mukeshbhai Pomal who ispracticing this heirloom craft since 45 years. 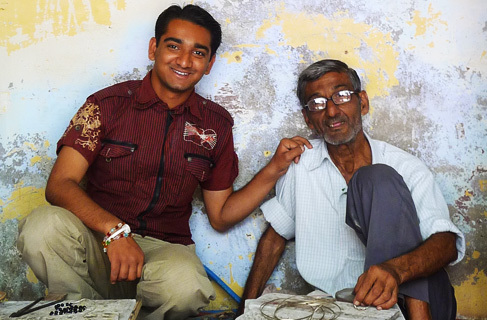 Originally from Anjar village, he shifted base to Bhuj after the devastating earthquake destroyed the village. 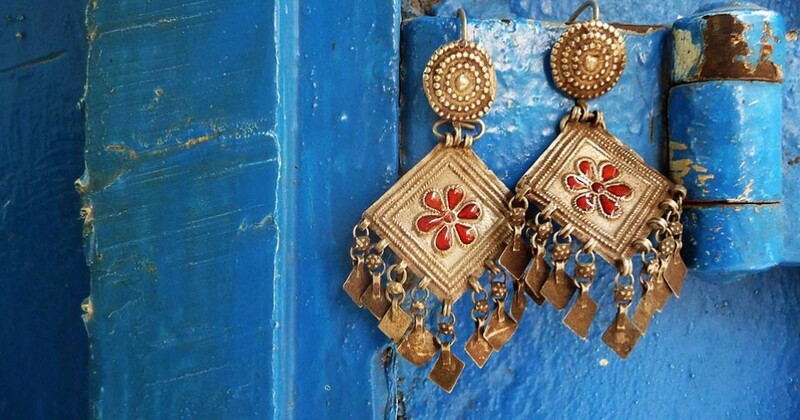 It is interesting to know how accessories play a role not only as pretty ornamentation but also accentuate functionality in terms of safety, health and investment. 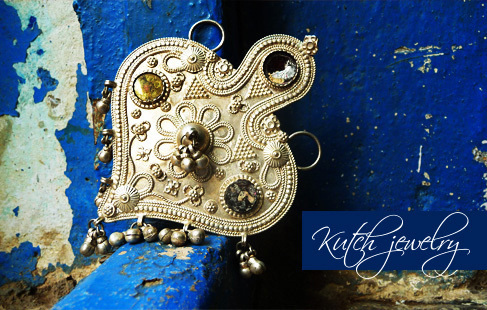 The silver ornaments of Kutch are a reflection of design purity, where they not only shine for beauty but they shine to make a difference to the bodies that they adorn. This is such an interesting post! 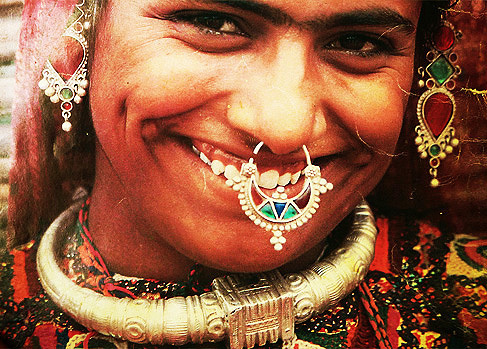 As I am in industry for many years so, I love to read about jewelry and after all kutch is famous for traditional silver jewelry and Kutch embroidery, which is famous in all over the world. yes, wonderful information. I suggest many many more thing of the same line can be added to this. I have been into same subject for more than 30 years. wonderful. there are so many more things that you can add. 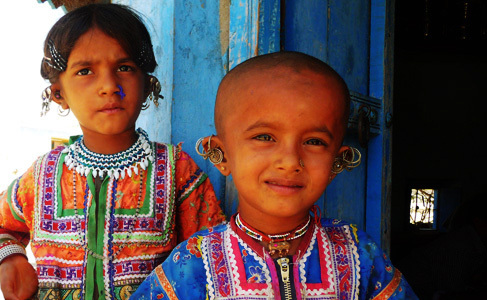 Fascinating place is this Kutch region and the tribal people. Thanks for highlighting the points. 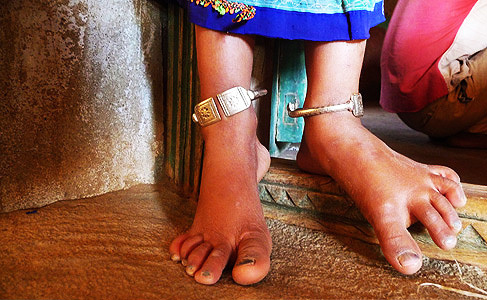 Is there any way of seeing the tribal jewellery and buying them?